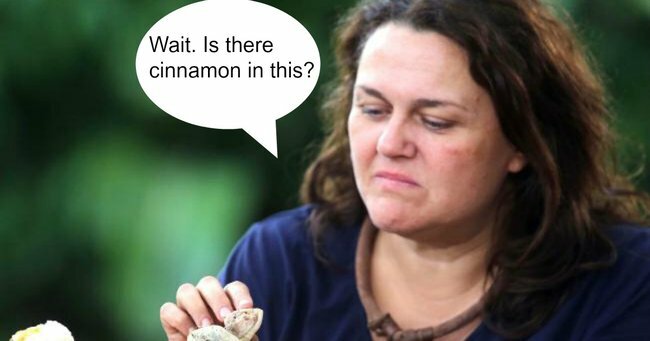 Chrissie Swan shares a theory on cinnamon and now we can never eat it again. Comedic genius and general legend Chrissie Swan was, as per usual, on fire on last night’s episode of The Project. After telling her puppy Squirrel to “do better”, Swan weighed in on a topic that has baffled and frustrated many a foodie for years now – herbs and spices. Having released its findings into its oregano testing yesterday, Australian consumer group Choice revealed that the majority of tested brands contained ingredients other than oregano. Meaning you’re paying a small fortune for a jar full of mystery leaves. "Our tests indicate that food fraud is occurring in the supply chain of oregano, with seven of the twelve dried oregano samples we looked at containing other ingredients, including olive and sumac leaves," Choice wrote. Following an investigative segment that revealed one brand contained less than 10% of the real thing, discussion moved to the panel, where Swan delivered some serious real talk. "I knew it," Swan said. "I knew it. I feel so vindicated." As the panel and studio began to laugh, Swan explained, "I&apos;ve just been suss on herbs for so many years." SAME CHRISSIE, SAME. HOW CAN DRIED LEAVES COST $3 A JAR? Swan with co-host Carrie Bickmore on The Project. Source: Facebook. "I&apos;ve watched a lot of Masterchef," Swan continued. "I&apos;m really annoyed." And nothing proves an annoyed point like sitting down and crunching some figures. "I&apos;ve done some calculations," Swan said. "A jar of oregano, you&apos;re paying guess how much you&apos;re paying per kilo? 300 bucks. And it&apos;s bloody olive leaves!" And then, as though channelling the thought&apos;s of a nation of home cooks directly, Swan said, "Sometimes cinnamon.... it smells like dust. "That&apos;s not right, that&apos;s not what I&apos;m paying for." No it is not, Chrissie. 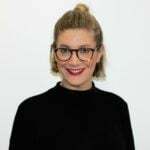 Having the panel in stitches, co-host Peter Hellier asked Swan if she thinks there should be a Royal Commission into herbs and spices, or more specifically, KFC&apos;s Colonel Sanders secret herbs and spice recipe? "The 12th and 13th are olive leaf and dust!" Swan cried. In the interest of the nation, please never change Chrissie. Now let&apos;s sit back and wait for Gwyneth Paltrow&apos;s thought piece on how dust is actually really good for us and at $3 a jar we&apos;re bagging a bargain.